INDUSTRY.co.id - Jakarta - CK Hutchison Holdings and Li Ka Shing Foundation, a company and foundation established by Hong Kong’s richest man and philantropist, Li Ka Shing, donates US$2 million and US$3 million respectively, or a total of US$5 million, to support the affected people in Palu and Donggala disasters. 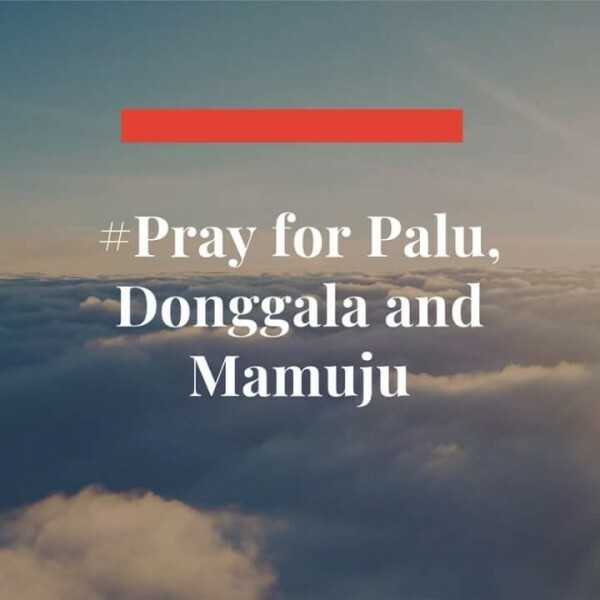 Last week, Palu and Donggala in Central Sulawesi, Indonesia had been hit by a tsunami following a 7.4 magnitude earthquake. This donation announced today (05/10/2018) by the Minister of Finance during the launch of SDG Indonesia ‘One’, “an integrated collaborative funding platform to support infrastructure development that aims to achieve Sustainable Development Goals (SDGs) in Indonesia”. The Government of Indonesia through Ministry of Finance mandates PT Sarana Mitra Infrastructure (SMI) ‘to form’ and manage the platform. PT Sarana Multi Infrastruktur (PT SMI) is an Indonesian state-owned ‘enterprise’, wholly owned by the Ministry of Finance whose mandate is to ‘accelerate’ the infrastructure development in Indonesia. The donation that is given by Li Ka Shing Foundation and CK Hutchison will be part of PT SMI’s Sustainable Developments Goals Indonesia One. Minister of Finance Sri Mulyani in her speech mentioned that “Many donor agencies, government, and philanthropists that donate for victims of natural disasters in Palu, Donggala, and Sigi. One of them is the founder of CK Hutchison – Mr. Li Ka Shing which donates US$ 5 million through SDG Indonesia One. We will cooperate with BNPB (National Disaster Mitigation Agency). I ask PT SMI to be transparent and accountable on this.” Sri Mulyani also mentioned that she appreciates the donation for rehabilitating Palu following the earthquake and tsunami. Donation from Li Ka Shing Foundation and CK Hutchison will be utilized to provide support to thousands of people affected by the natural disaster and also rehabilitation and reconstruction in the affected areas so that people can return to their normal activities. As per Thursday afternoon (04/10/2018), data from The Indonesian National Disaster Mitigation Agency (BNPB) stated that there are more than 1,400 people died and more than 70,800 people are beingin the evacuation camps. CK Hutchison is a multinational business with operations in over 50 countries and over 300,000 employees worldwide. In Indonesia, CK Hutchison operates mobile operator Hutchison 3 Indonesia and health and beauty retailer, Watsons. CK Hutchison also invests in Jakarta International Container Terminal. Established in 1980, the Li Ka Shing Foundation (LKSF) has invested over HK$20 billion to work on education, medical services and research initiatives globally. Mr. Li described his philanthropic effort as akin to having another son in the family.